This week's featured band, 8 Directions, has chemistry. Despite wide-ranging musical influences (or maybe because of that) all eight of them just click. And the happy result has been good music, friendship, and a whole lotta learning. Come hear them perform in our Overland Park auditorium at the Grand Showcase this weekend. What do you think is the difference between a good band and a great one? Charlie: Great bands are people that are good together and are friends. Noah Holt: Yeah, good band chemistry is everything. What do you guys do that's special—that set's you apart from all the other Music House bands? Carter: We have a pianist. Lot's of bands don't have that. Jack: And we have two Noahs. Charlie: We play well together and we wrote an original song. Noah Holt: My dad because he plays guitar. He's half the reason I play. Charlie: Red Hot Chili Peppers because their bass is cool. Sydney: Vance Joy because he's good at playing instruments and singing at the same time. Nathan: Travis Barker because he's a legend. Carter: Imagine Dragons because I've always liked them. Noah Williams: My biggest influence is gospel music because I listen to it in the car all the time, every single day. Jack: Queen cuz they're a good band. How would you describe 8 Directions' style? Noah Holt: Very widespread. That's why we're called 8 Directions. We like a wide variety of music. 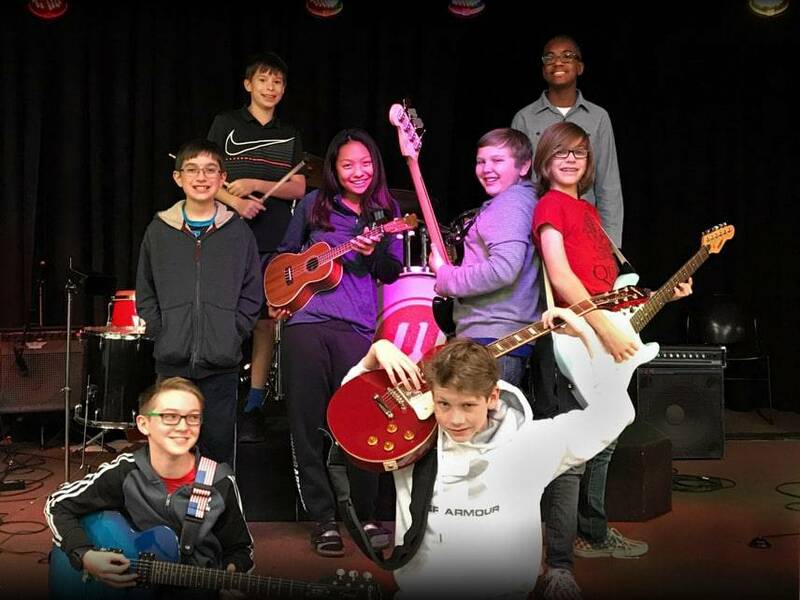 What has working with a real band taught you that goes beyond what is taught in private music lessons? Charlie: You have to listen to the whole band, not just yourself. John: That's right. You can't just play at your own pace. You have to follow the band. It's pretty neat. Noah Williams: I like doing both. Jack: Covers often sound better, but writing music is fun. 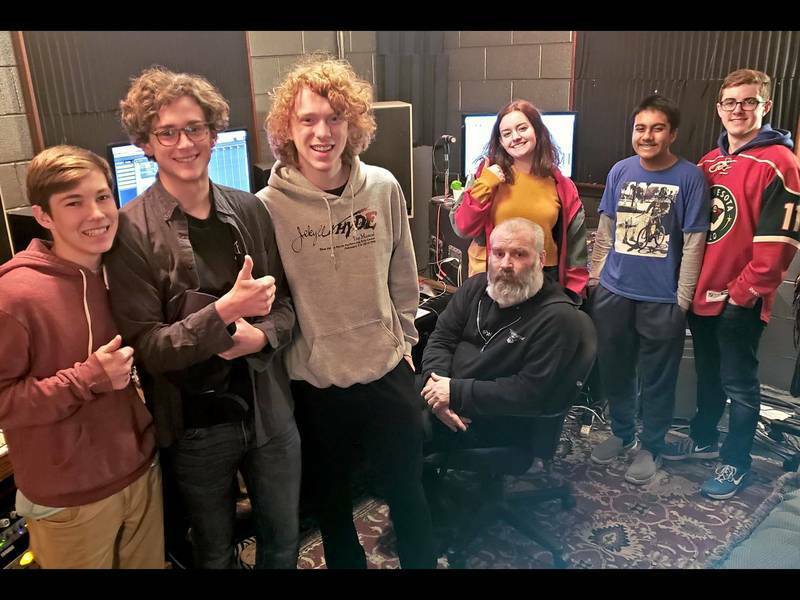 Noah Holt: I like writing music, but covering other people's stuff is so much easier because you're just mimicking them. Nate: Come check us out at the Grand Showcase on Dec. 15th!! Also, we have more cowbell. 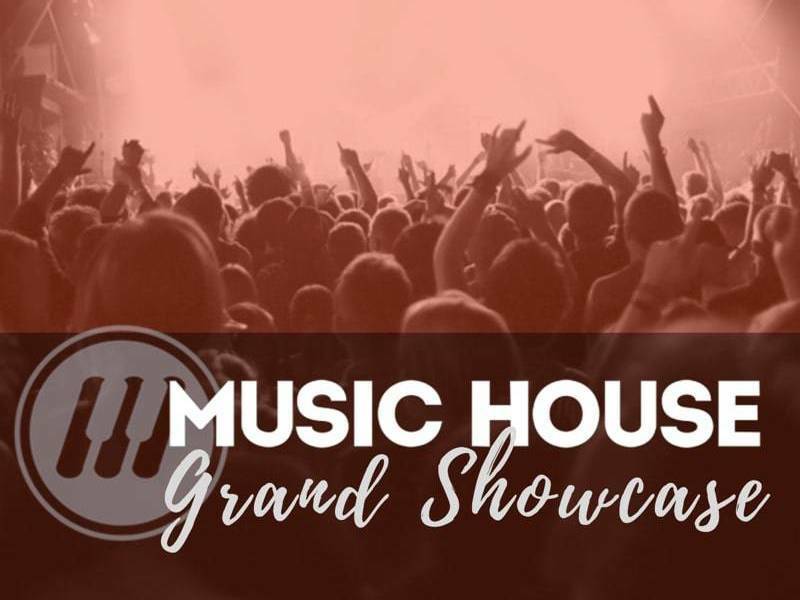 Want to learn more about Music House? Just click the button below.